Traumatized by the appearance of wrinkles on your face? Shocked to see them earlier than usual? Or are you disturbed that these wrinkles are showing your true age? Wrinkles are the sign of ageing. Sometimes it occurs pre-maturely and sometimes it takes on the natural course of ageing. Wrinkles occur as a result of the collagen in the skin loosening which causes creases and fine lines and only home remedies for wrinkles will help you. Although wrinkles can happen due to the natural biological process, there are certain environmental factors like overexposure to sun, stress and lifestyle habits. Are you trying desperately to get rid of those wrinkles on your face? Rushing to dermatologists or cosmetic parlours to hide their appearance? 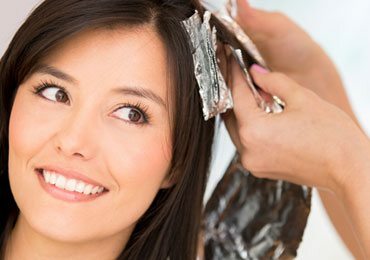 Chemical treatments are not just expensive but also very harmful to the skin in the longer run. 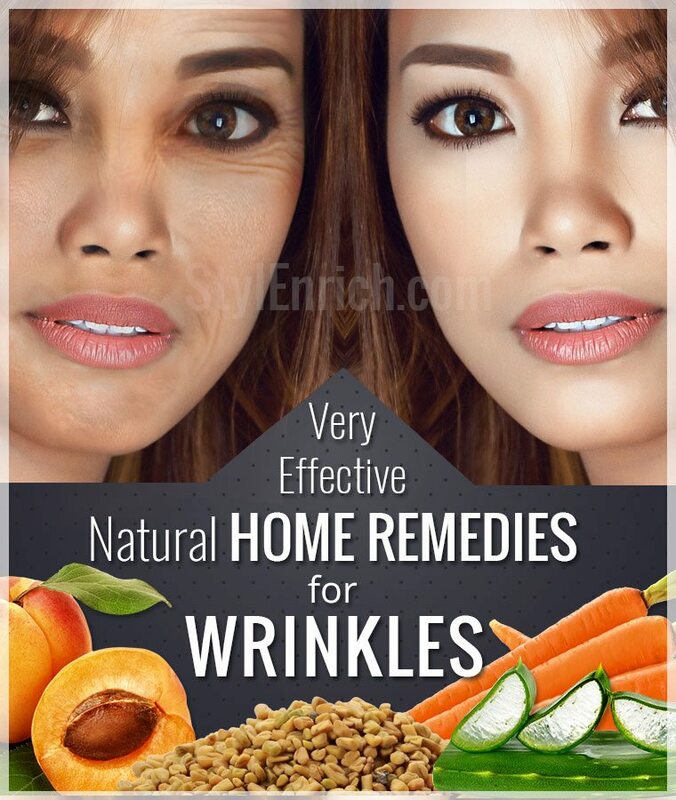 Have you ever considered resorting to home remedies for wrinkles? 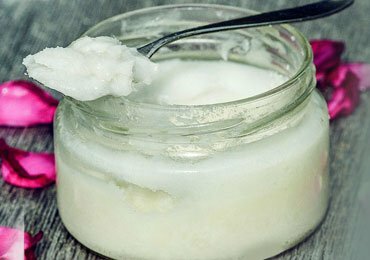 Yes, there are several effective home remedies that work a long way in removing wrinkles and eliminating the signs of ageing. Almonds are one of the best home remedies for wrinkles that you can think of. 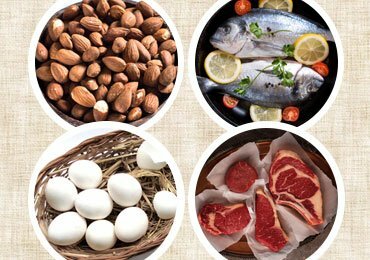 Almonds are rich in folic acid, calcium, iron, oleic acid, zinc, vitamin E and fiber. They treat wrinkles naturally and also help in delaying the process of ageing. 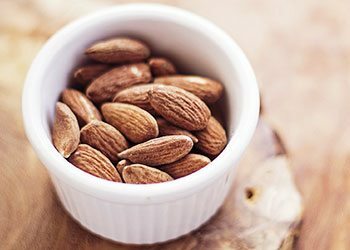 Soak almonds in milk overnight and grind them into a thick paste next morning. Apply this on your face, under the eyes and on the neck evenly. Leave until dry and rinse with warm water. You can also apply almond oil daily to treat wrinkles. There is no better remedy than olive oil for face wrinkles. 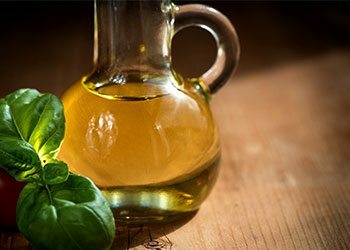 Olive oil is rich in Vitamin A, Vitamin E and anti-oxidants which help in destroying free radicals that damage the skin and cause wrinkles. Olive oil repairs, regenerates new skin cell and moisturizes the skin. Regularly massage olive oil on your face to eliminate dead skin cells and reduce sagging of skin. You can also combine olive oil with honey or glycerine for better results. 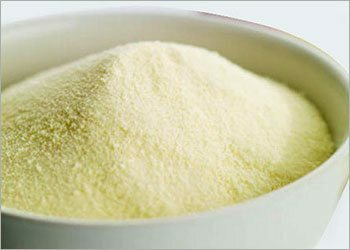 Milk powder is one of the best home remedies for wrinkles on face. The nutrients present in milk powder penetrate deep into the layers of the skin and rejuvenates the skin giving it a young and healthy glow. Mix milk powder along with honey and warm water to form a smooth paste. Apply this pack on your face and allow to dry. Later rinse with cold water and follow with a moisturizer. Wondering how to get rid of face wrinkles? Tomatoes are the best remedy. 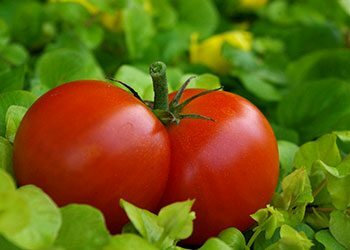 Tomatoes tighten the loose skin and give you a young glow. You can either eat a tomato daily or rub tomato pulp on the wrinkle affected areas of the face. Having wrinkles around eyes? 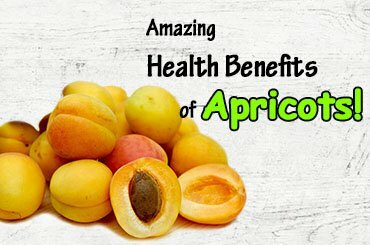 Apricots are rich in phosphorous, magnesium, calcium and potassium. It will tighten the fine lines and loose skin and nourish from within. 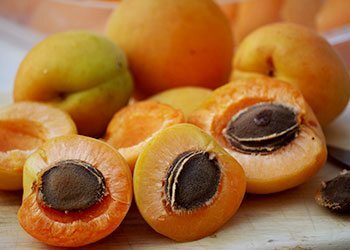 Mash apricot to form a pulp. To this pulp add honey, lemon juice and cold milk. Apply this as a pack around the eyes, face and neck. Allow to dry and rinse with cold water. Follow with a good moisturizer. Lets know the amazing health benefits of nuts! 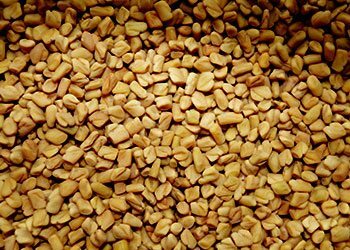 Fenugreek seeds and leaves are one of the best & effective home remedies for wrinkles. Fenugreek is rich in vitamins and minerals that are easily absorbed into the body and act as an antidote to wrinkles. Grind fenugreek leaves to form a paste. Apply this paste on your face and leave it stay overnight. In the morning, rinse with warm water. You can also use fenugreek oil and apply daily for best results. Troubled with forehead wrinkles? 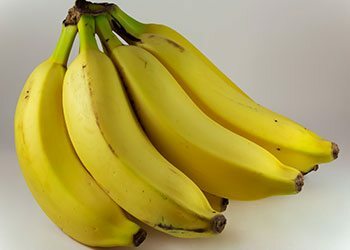 Have you ever considered bananas? Yes, bananas are rich in anti-oxidants, minerals and vitamins that fights wrinkles and rejuvenate the skin. Mash bananas and milk together to form a paste. Apply this paste on your face and allow to dry. Rinse with warm water and then follow with a moisturizer. Carrots are known to be the excellent home remedies for wrinkles on face. Carrots are rich in Vitamin A which induces collagen production and new cell regeneration. 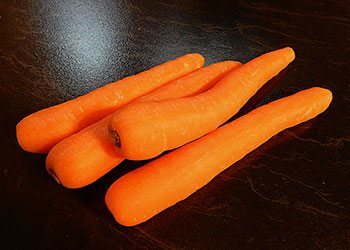 Thereby, carrots help in tightening the skin and reducing wrinkles. Blend carrot along with honey to form a smooth paste and apply on face. After drying, wash with warm water. You can also eat carrot daily for young and glowing skin. 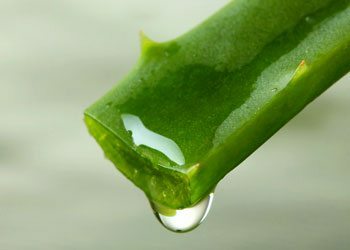 Aloe Vera is rich in malic acid and improves the elasticity of the skin. This reduces wrinkles and fine lines and also promotes the formation of new skin cells. Simply apply Aloe Vera gel on your face and keep on overnight. You can also wash off with warm water. You can also mix Aloe Vera gel along with Vitamin E for best results. 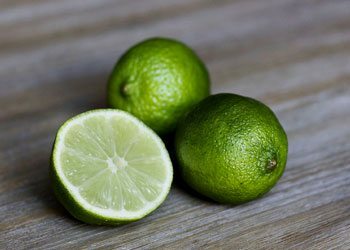 One of the best ways to get rid of wrinkles naturally is the regular usage of lemon. Lemon is rich in citric acid and works as an exfoliant. It deep cleanses the skin, removes blemishes, wrinkles and dark circles. It helps remove dead skin cells and promote new cell formation leading to young and glowing skin. • Reduce stress and improve lifestyle habits. • Limit exposure to sun or use a strong sunscreen before stepping out. 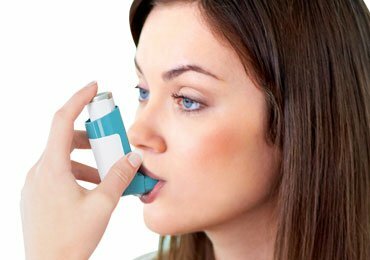 • Stop smoking and limit the intake of alcohol. • Eat a well-balanced nutritious diet. • Drink plenty of water and stay hydrated. 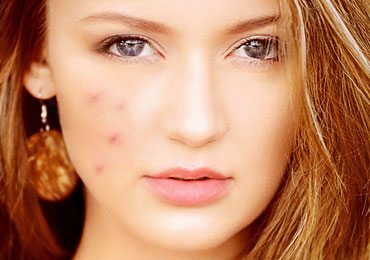 Scared of signs of aging on your face? 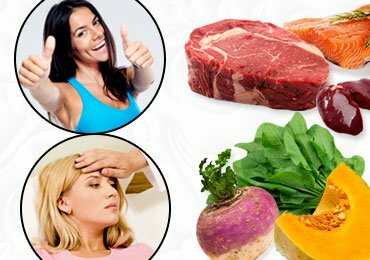 We bring some best anti aging foods will help in the best possible way. Ageing is a natural process and there is no ultimate stopping to a biological process. 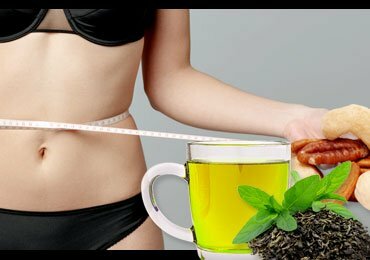 However, with these simple home remedies you can easily control pre-mature ageing and reduce its symptoms. These natural remedies slow down the process of ageing and helps you attain young, fresh and glowing skin. So what are you waiting for? Say goodbye to wrinkles and welcome fresh looking youthful skin!! Li tried to join your email list but your email doesnt work. I love your articles. would you please send me your emails? thx you so much.